An Aberdeenshire technology start-up company has secured a five-figure investment from one of the founders of a successful North-east engineering firm. Tom Bryce, co-founder of Scopus Engineering, which was sold to the AMEC group in 2014, now owns a 15% stake in Ellon-based Viewport3. Viewport3 are specialist providers of subsea scanning and photogrammetry services to the underwater sector. Using ROV-mounted cameras, they capture 3D subsea data for operators or marine contractors, eliminating the need for time-consuming and costly diving campaigns and additional hardware. Viewport3 utilise cloud-scanning technology to provide data accurate to less than a millimetre, in a much shorter time-frame than conventional methods. Richard Drennan, Director and Co-Founder of Viewport3 said: “We are currently at the vanguard of subsea scanning, but we know that continuous innovation is key to retaining that position. At Scopus Engineering, Tom Bryce and his partner initiated the process of dimensional control, which highlighted the value that 3D scanning can offer to the oil and gas sector, and rolled it out first to the North Sea, and eventually on a worldwide basis. “During my years at Scopus, we always felt that the missing link in our business was our ability to accurately measure subsea. 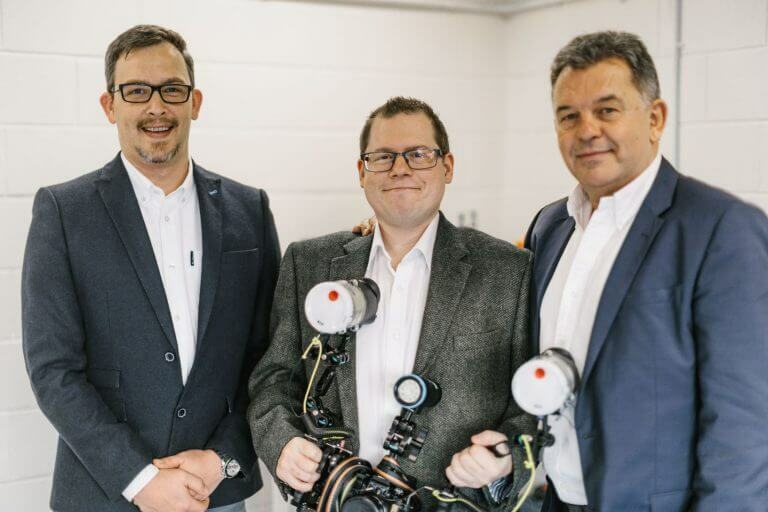 “When I first heard about the technology developed by Richard and Chris at Viewport3, and the pioneering services they offer, I was intrigued. The more I learned, the more I wished that this had been around when we set up Scopus Engineering. It is exactly what the industry has been crying out for. Viewport3 was established in 2017 when Director’s Richard Drennan and Chris Harvey met on the Elevator Business Programme and decided to form a partnership, combining their skillsets and vision.